It seems that Trump Derangement Syndrome infects everything, even hurricanes. With the approach of Hurricane Florence to the U.S. east coast, the fake news media are saying that the policies of President Trump, such as leaving the Paris Climate Accord, are contributing to global warming which, they claim, makes hurricanes stronger and more frequent. 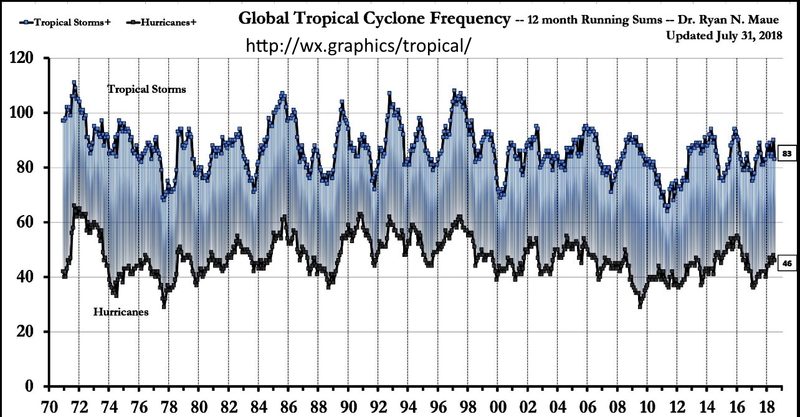 Perhaps the “Posties” should pay proper attention to the science which shows that there is no relationship between warming and frequency or strength of hurricanes. 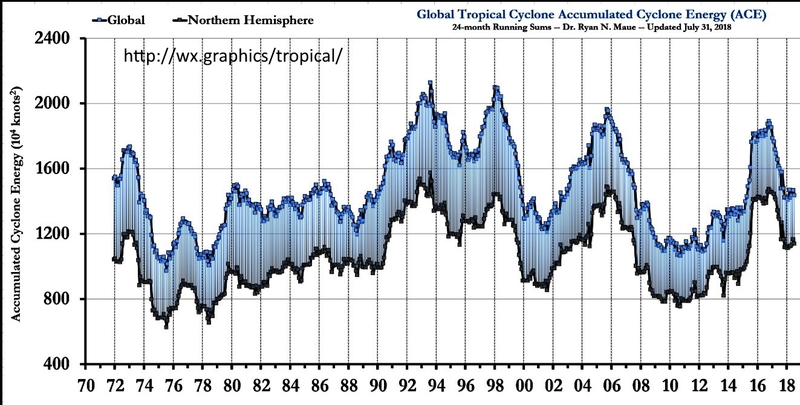 Research meteorologist Dr. Ryan N. Maue (website: http://wx.graphics/tropical/) keeps track of hurricanes and tropical cyclones. His data show, that as earth warmed from the cold spell in the 1970s (when the media were predicting return to another ice age) there has been no increase in frequency nor in the overall trend of energy in these storms. Posted in Climate change and tagged global warming climate change, hurricane on September 17, 2018 by wryheat2.